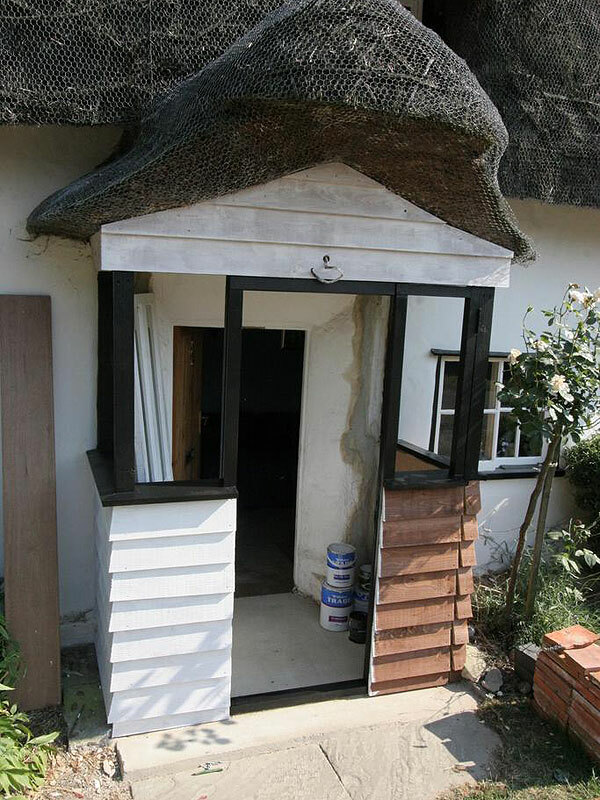 This was a project that Pete Griffiths enjoyed as one of his passions is the renovation of old buildings. 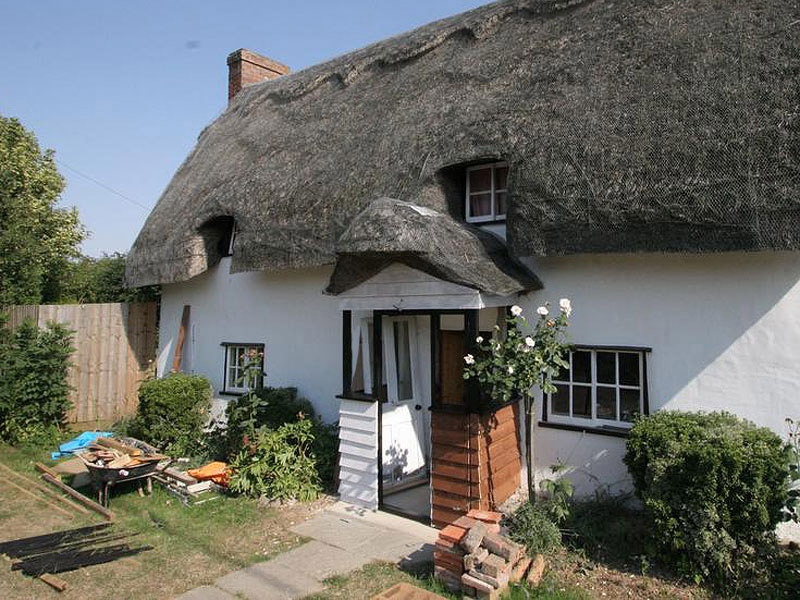 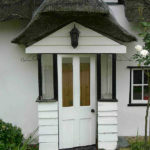 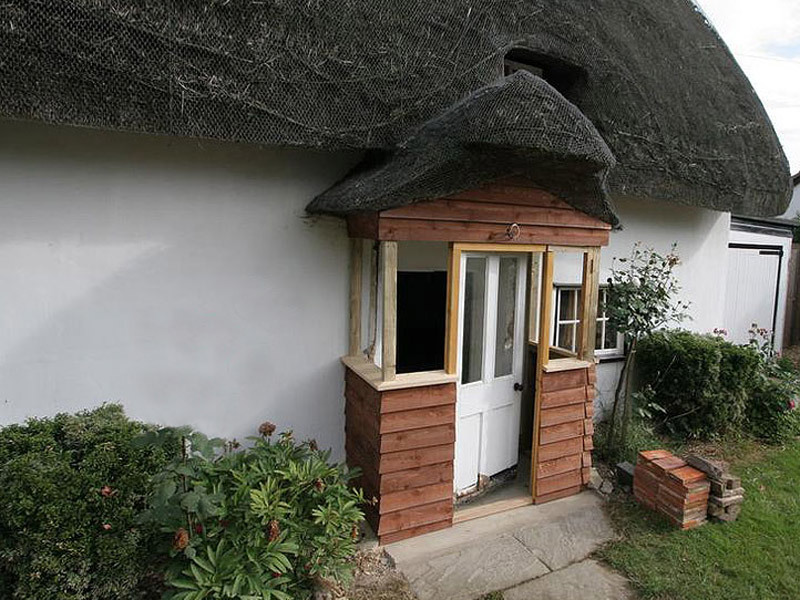 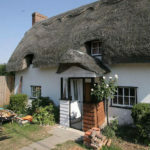 The project in question was a Grade II listed thatched cottage. 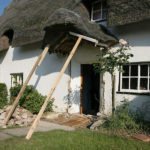 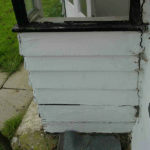 The porch was becoming unsafe for the occupants as the wooden structure had become rotten and was beginning to fall down. 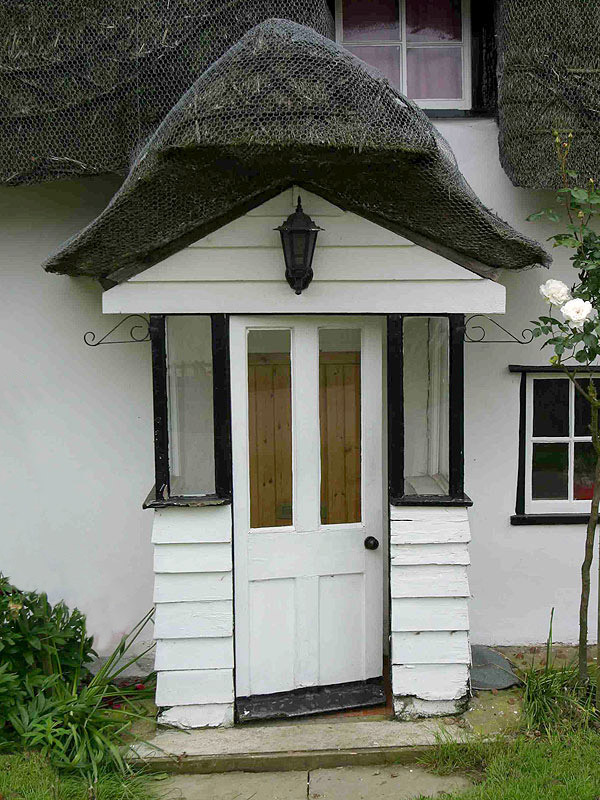 Mr & Mrs Hill chose AJP Construction to undertake this work, which took a week to complete. 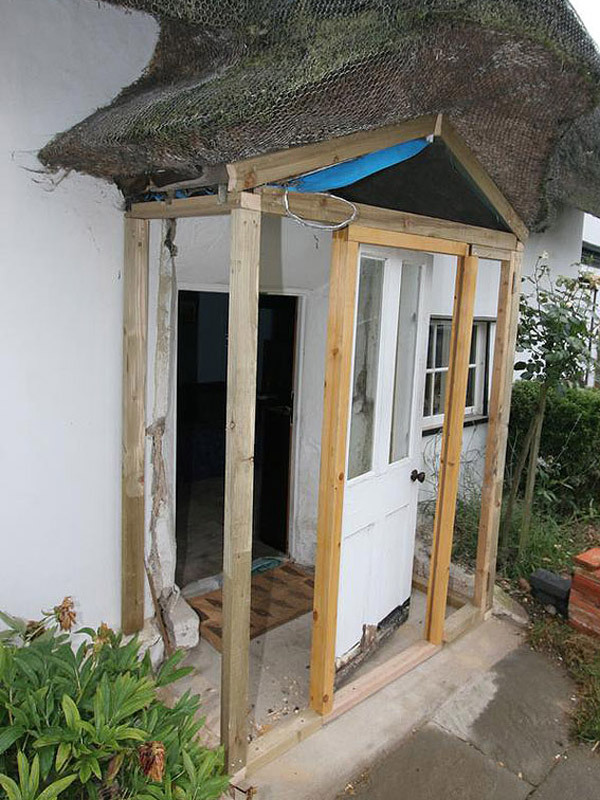 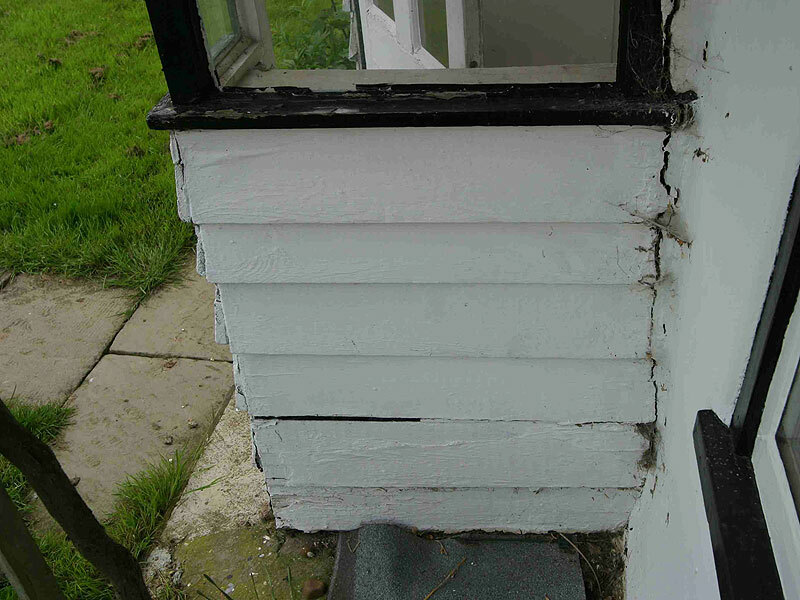 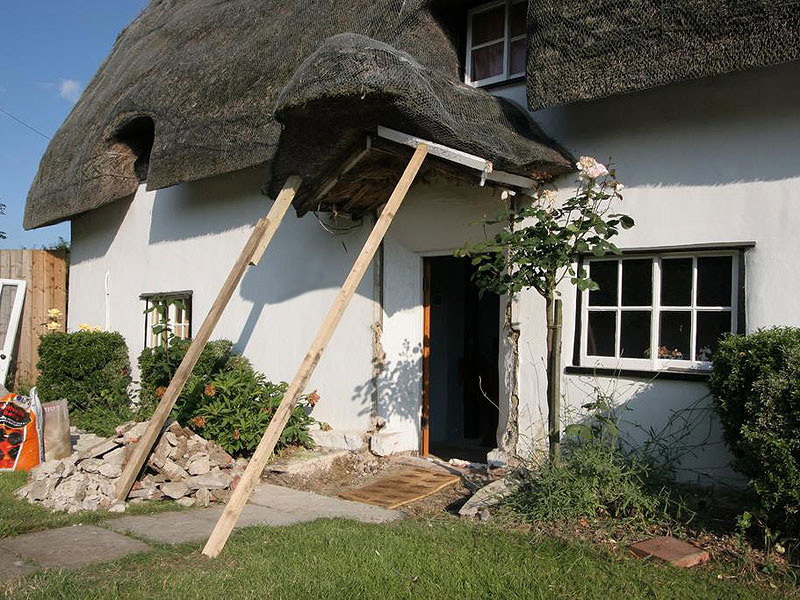 Initial inspection clearly showed that the porch’s wooden structure was breaking away from the main building and therefore a complete removal and sympathetic replacement was required, in order to ensure customer safety and comply with strict listed-building regulations. 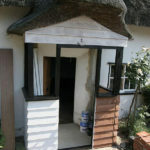 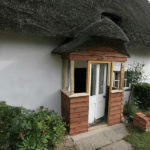 Once the replacement framework was installed, the AJP Construction team could begin cladding the structure before the whole porch was painted to blend in with the cottage. 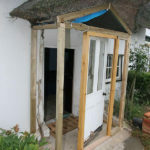 Finally the glass work and door was installed to complete the porch.